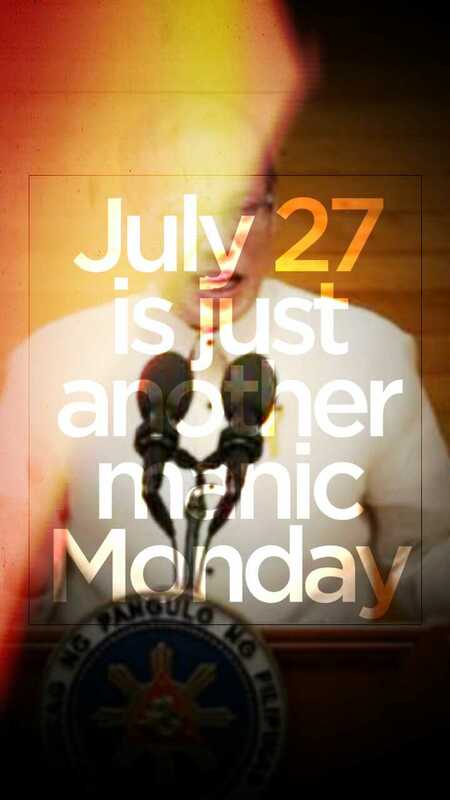 July 27, 2015, will just be another manic Monday. Workers, employees and students will be waking up very early to evade the rush-hour traffic. They will be praying that the lines going up to the MRT station won’t be too long and the MRT trains would not be too late. They will pray the trains won’t get bogged down. It is not fun to go down the tracks in between Boni and Guadalupe. Tracks are for trains, not for people. Motorists can only hope that the number-coding and zipper lanes would finally work their promised wonders. 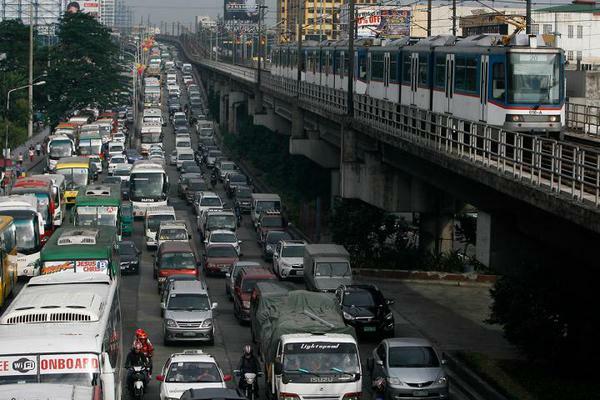 If only the MRT was working as it used to, they’d leave their cars and travel again by train. They all pray that there will be no sudden thunderstorms and rainshowers in the morning and afternoon rush hours. Because rains and floods multiply their hardships several times over. More people cram the trains and road traffic goes to a standstill. The employees will go to their workstations for their daily grind. Paper work, meetings, thinking, lunch. The first three hours of their official nine-hour work day is dedicated to government, representing the 30 percent income tax rates charged against their salaries. Many employees will realize that their hard-earned income for four months in a year just go to pay those damn taxes. Many employees try to get paid overtime or extra work to be able to afford small luxuries. Factory, construction, and service workers, and others who earn the minimum wage, pray that nothing bad happens to them at work. Like something as bad as what happened to the slipper-makers at Kentex, or the construction workers at Eton. They just want to keep their jobs to get the minimum wage for each day they work. But there are deductions, and loans to pay because the minimum wage is always just not enough. Metro Manila workers are the luckiest because they get P481. Elsewhere, the minimum wage is way lower: Like P250 in ARMM, P250 in Region 1, P285 in Cordillera, P255 in Region 2, P260 in Bicol. Imagine that. Many hope to retain their jobs. But many would go ENDO also on Monday: ENDO, short for “end of contract.” Some would be fired today, others get a new contract. If you work for the media, there is a chance you will be like them. But you would be called a “talent.” You’d do the important job of a regular employee, but never get regularized. It would take a complaint to force the media network to consider you a regular employee, but when ordered by authorities, your media company would fire you. Heck, they could even fire regular employees without advance notice. Some would apply for loans on Monday, and would be told by SSS and Pagibig that their employers did not remit their contributions. Elsewhere in the country, thousands will be applying for a chance to enter the University of the Philippines, only to be shocked that the tuition has reached P1,500 per unit — no different from private colleges and universities. There is a socialized tuition system, but only a few get full tuition subsidy. Many would try to connect to the Internet at work and at school. Many have to be on the internet because their work depends on it. But everything crawls. Sometimes as painfully slow as the traffic outside. They are tired of complaining so they just wait. Meantime, the government does nothing. May Internet ka na nga, gusto mo pa mabilis? Mid-day, we get news of politicians jockeying for the top position in the 2016 elections. No word about new trains, but they bought a new, expensive ticketing system. The mayors are privatizing 17 palengkes. The DAP scammers are getting away. The pyramid scammers too are not charged. Bobotantes and stupid victims of plunder and scams are blamed for their sad fate. Taclobanons and Zamboanguenos in Manila will be calling home on Monday, to check on their relatives. Some have recovered, many still live in makeshift shelters. They just have to fend for themselves, find work and pray that no super-typhoon or man-made tragedy would hit them anytime soon. Some would get sick on Monday. Those who have medical insurance are lucky. Others would have no other choice but to be brought to public hospitals. Underfunded and understaffed, they would have to wait for their turn to see the doctor or to get a bed. The patient would have to buy everything he needed or prescribed by the doctor. No postpaid accounts for them. It will also be another day for the OFW, who waits for her paycheck. She will have to remit almost everything back home. She pays documentary stamp tax and steep bank charges on her remittance. Then, she remembers Mary Jane and OFWs like her. At the NAIA, 4,000 new OFWs are set to leave the country. They have to line up to claim exemptions from terminal fees and travel taxes. Some newbie OFW or traveler would be profiled and held by immigration officers. An airline would cancel a flight but no one would care that 150 people are affected. Two or 20 flights may be cancelled but still, no one would care. Of course, there would be victories on Monday. But those are exceptions that we will rightfully cheer and celebrate. Exams passed. Workers regularized because of a successful strike. A baseless power rate hike could suspended because we complained. An athlete who defies odds could win a medal. We will celebrate them. Because they deserve to be celebrated and we need to. When the clock hits 5:00, people start going back home through the same streets, the cramped and slow MRT, all praying that there would be no accident, no floods, no terrible carmageddon. They just want to go home, dinner, be with their family and have a good night’s sleep. It has been another long day. First published in the Manila Bulletin on 25 July 2015. Slightly edited here for clarity.